Three On 3 Presents! 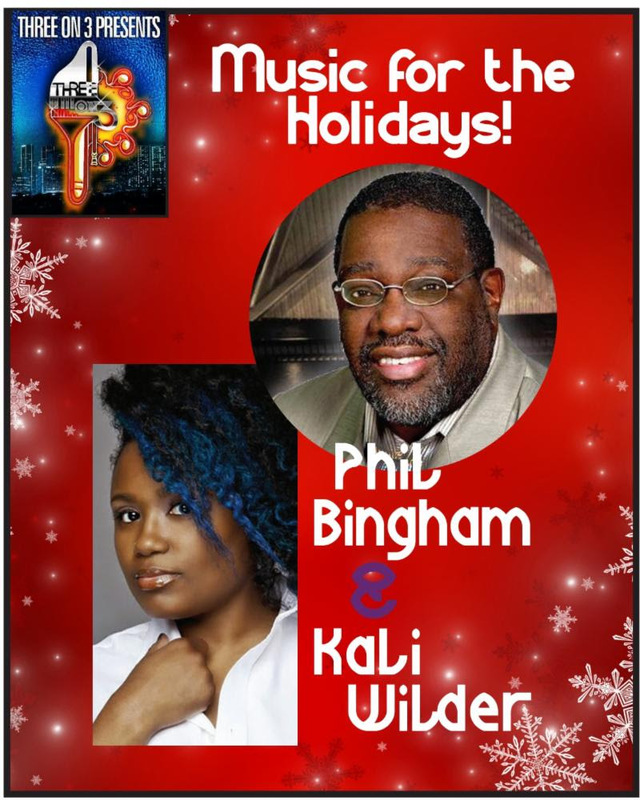 invites you to start your holidays with Phil Bingham, pianist, composer, arranger and music conference leader extraordinaire, and Kali Wilder, lyric soprano. Ms. Wilder has sung the title role in Gershwin’s Porgy and Bess, Pamina and Papagena in Mozart’s Die Zauberflote, Micaela in Bizet’s Carmen, and was guest soloist during the Wratislavia Cantans in Wraclow, Poland. Three on 3 Presents: Celebrate the Holidays will take place on Sunday, December 9th from 3-5:30pm in the beautiful Mount Morris Ascension Presbyterian Church located at 15 Mount Morris Park West in the Harlem Historic District overlooking Marcus Garvey Park.